It's my 60th Birthday Party! 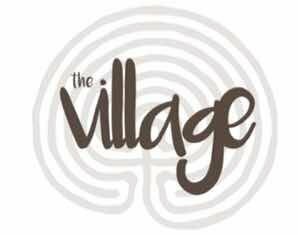 This time The Village steps into "substance" on our journey into FORM. What is the substance of this gathering together we have been doing for the past three years? And being substance 1, it asks what is the FOCUS of that substance. Confused? Then come and all will be made clear! And its my 60th Birthday Party on Saturday night! 6pm to sometime Sunday. So if you have been invited, it means I'd really love it if you could make it as I officially become an "old bloke". Camping down by the magickal spring fed creek, community kitchen, hot tub on Friday night and maybe Saturday too, fabulous swimming grotto, trips to the glow worm cave, magnificent scenery, fabulous people! I'm hoping all my world's can collide, from Family to radio days friends, partners in crime, old friends, new friends - people I love! Everyone please bring and share your own unique contribution including workshops, music, dance, crafts, skills, massage, cooking, artistic skills, circus skills, kids fun, knowledge sharing and so much more. Bring it all - share it all! Just as The Village always is - a contribution/ubuntu model. Saturday night 60th Birthday Party - it's a cosplay, masquerade, dress up shindig. 6pm to sometime Sunday. Become the fantasy creature from myths and legends and stories of yore on a vaguely Celtic theme (it's the Welsh celt in me calling this in). Wizard, witch, elf or pixie, wood sprite, green man, orc or dragon, King or Queen, troll or trickster, knight or damsel, leprechaun or Gwyllgi, gancanaghs, hobbits, dwarfs, silkies and banshees all welcome. 6. Entry to the land is based on a Peace Treaty with all, everything and everyone present including current caretakers of the land, other guests and me. You are fully self responsible and accept this or do not enter the property.